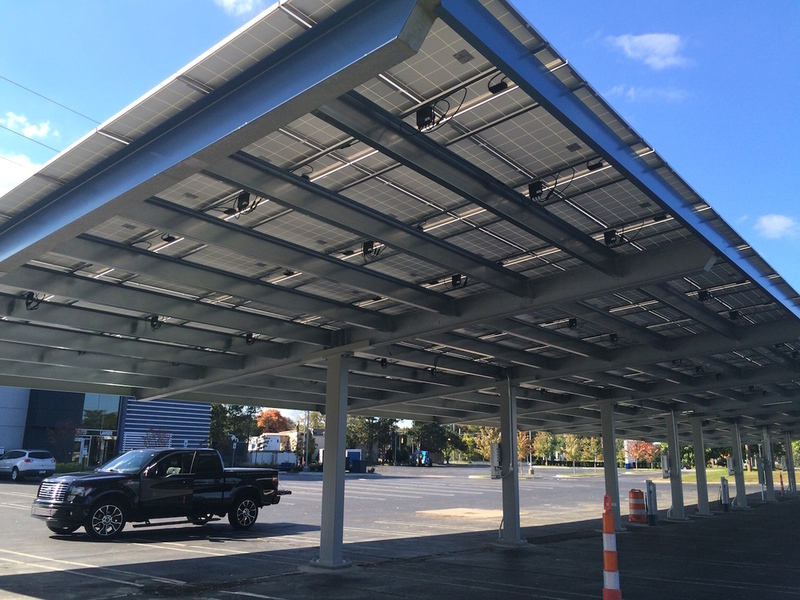 1 800 Lawfirm Solar Carport — Carport Structures Corp.
System Size – 34 car spaces / 80kw. Carport Style – Single Column Double, 5º fixed tilt. Scope – Design, fabrication, galvanizing, delivery and installation including foundations. Copyright © 2015 Carport Structures Corporation. All rights reserved. No part of the materials including graphics or logos, available in this Web site may be copied, photocopied, reproduced, translated or reduced to any electronic medium or machine-readable form, in whole or in part, without specific permission. Distribution for commercial purposes is prohibited.